Formal objective assessment is the best way to determine the current level of global competence of person or group in order to plan next steps for improvement. 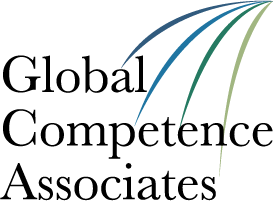 The Global Competence Aptitude Assessment (GCAA)® is the only assessment that comprehensively and objectively measures all dimensions of global competence, as determined by worldwide consensus research. The Global Competence Aptitude Assessment (GCAA®) is a practical application of a five (5)-year rigorous and holistic international research agenda. 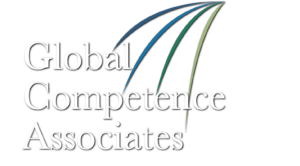 Expert thought leaders from around the world, spanning the continuum of education through the global workforce, created a consensus definition of “global competence” that was first reported in 2004. In addition, this panel of experts collectively determined the specific aptitudes necessary for global competence, which are presented in the Global Competence Model™. Out of a request by one such expert thought leader, five (5) more years were spent developing a comprehensive instrument to objectively assess each of the necessary dimensions of global competence as identified by the research. The pinnacle of this extensive research and development became the GCAA®. The GCAA® is the only instrument that measures all the researched dimensions of “global competence,” —a 21st century skill— as intended and reported in refereed journals worldwide.